Since the last few decades, the internet has shown enormous growth in social networking which allows people to connect with their family and friends. However, the thing which lacks is a platform to connect business professionals and create a database for their email address. A person is traceable through Facebook, but it is often difficult to find a corporate email address of the same person. Snovio is a revolutionary platform through which not only millions of email addresses can be found but also helps in finding company profiles, LinkedIn profiles and sending thousands of messages to a list of prospects is at fingertips. 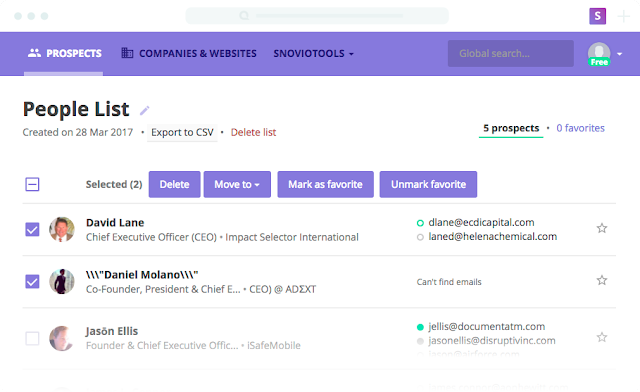 In this article, we will review Snovio and learn how to find emails with the best email lookup tool! 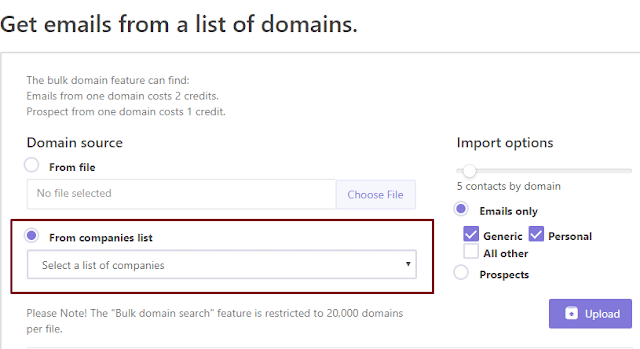 Snovio offers many features such as domain search, LinkedIn email search, company profiles, and the most beneficial feature is sending thousands of emails for free. As mentioned above, the dearth of finding corporate identity is one of the popping issues the world is facing today. 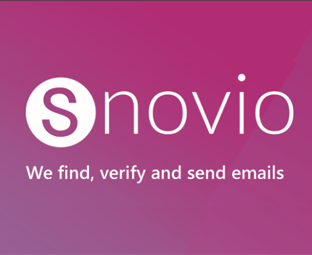 With the help of Snovio, finding and connecting with millions of corporate emails is now on finger tips. In this domain search feature, every single information of an employee has been compiled with its company’s profile through which you can easily find someone and stay connected. All one needs is to search names or maybe job positions from various domains and get connected. Manager of different firms have moved towards Snovio for the betterment of communication in a professional way. As many people use LinkedIn in their professional life, you can also find their profiles through Snovio. All that is required is just putting their names in the search bar. By this feature, recruiters can also get to know the real academics/experience of a job applicant. All companies’ profile database is integrated into Snovio, so that people can easily connected with the employee of any company. 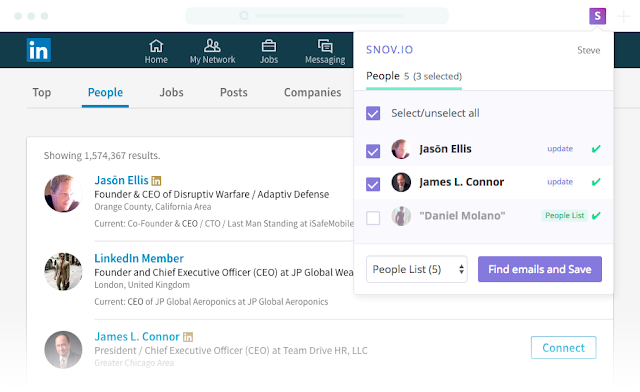 Getting communicated with the right person is a challenging task, but Snovio has eased it by mentioning all companies with respect to their employees’ profiles. In this feature, you must know the city, industry and country of a company which you are looking for. There is no limitation of sending emails, you can send emails for free. There are no charges of sending emails and there are also no charges of signing up at Snovio. Security of your data is vital, so Snovio verifies every mail before reaching it to you. There is a superior quality email verifier developed by Snovio which keeps your emails/information safe. As in today’s era, currency and transactions have moved normal to digital. So, you can also pay for Snovio’s extra services in terms of SNOV token. Furthermore, if you buy with SNOV it will be 15% cheaper. Searching website, email, or information is very easy through Snovio. Not only one can find email or website, but also, he can find detailed information like name and occupation. It is cheap as compared with its competitors. Paying through Snov’s tokens make it further 15% cheaper. Not only finding contacts, but also messaging prospect is also easy. Snovio has the most updated data and it also notifies a user when the data is updated. Snovio also rewards its data suppliers who use contributor apps. Exciting feature of Snovio is its integration into ICO and extensive use of blockchain technology which has excited a lot of global tech giants and have forced them to partner it with Snovio. Some of the notable names in the same category are: SoundCloud, uber, oracle, LEGO and Lenovo etc. So what are you waiting for, get a chrome extension and boom it up!